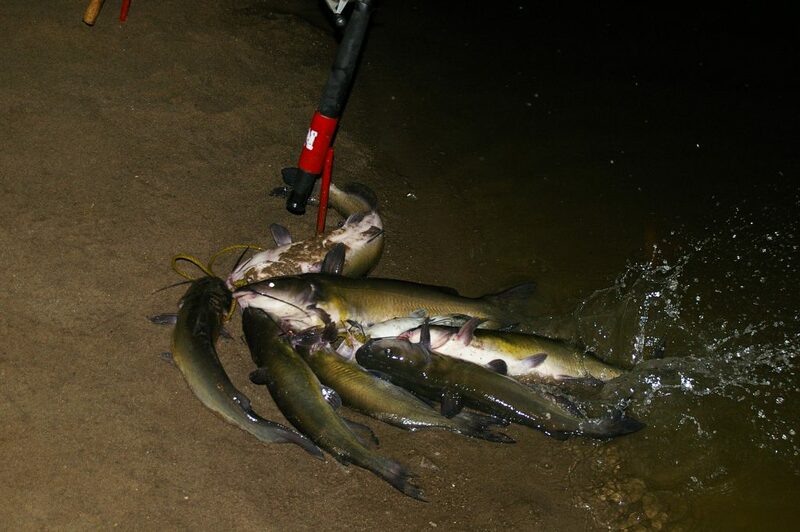 Species include common carp, channel catfish, crappie, flathead catfish, largemouth bass, northern pike, smallmouth bass, walleye, white bass and wiper. Fish-cleaning stations are located at Spring Creek area. With the long narrow configuration of the lake, much of which is shaded by mature stands of trees and lush underbrush, Medicine Creek offers outdoor buffs plenty of recreational opportunity, plus plenty of private spots to get away from it all. The long bays that pocket the winding shore and the small islands provide fishermen with hotspots for king-sized crappie and other panfish. In early spring, walleye start hitting back in the shallows, but the walleye fishing really begins in June in the main body of the lake. The dam on Medicine Creek is a zoned, earth-filled structure. It is 165-feet high and 5,665-feet long. At the top of the conservation pool, the lake covers 1,768 surface acres, with 29 miles of shoreline. Completed in 1949, the dam is 30-feet wide at the top and 840 feet at the base. Water stored irrigates some 16,630 acres of land. Swanson Reservoir boasts a fantastic fishery. Anglers can find trophy-size pike lurking among submerged willows and along the face of the dam. 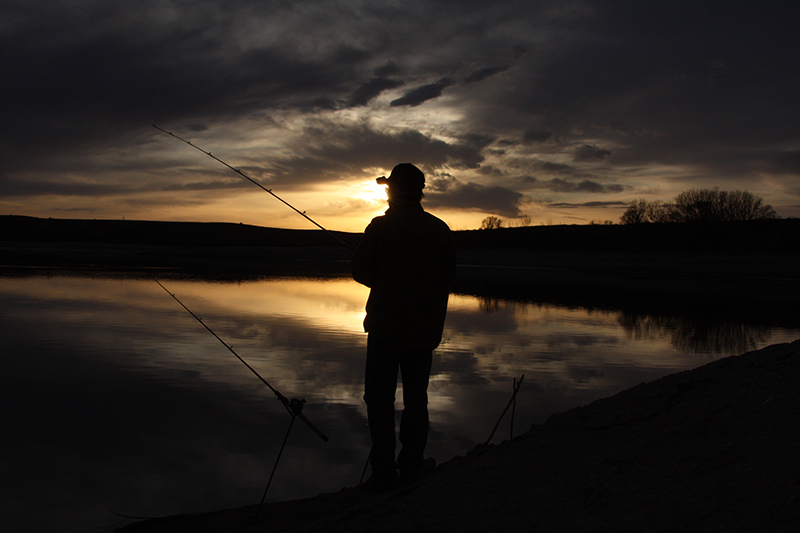 The reservoir is also known for large and numerous walleye and for a growing population of black bass. Crappie anglers can do well in the shallows during spawning season, but the real draw is the large schools of white bass. For successful anglers, two fish-cleaning stations are available. In the winter months, Swanson is a popular ice fishing spot. Enders Reservoir State Recreation Area, one of four areas known collectively as the Southwest Reservoirs, is a combination of recreational and wildlife lands, with the additional dedication of a portion of the area as a wildlife refuge in the fall and winter. Because of its refuge status, the recreational facilities are not as extensively developed as those at the other three lakes in the complex. Including the lake, the entire area encompasses 5,700 acres. Of the 4,000 acres of land, the Enders Wildlife Refuge covers 2,146 acres on the western reaches of the lake. Enders is a good escape for the outdoor enthusiast who wants to enjoy the bounties of nature in a peaceful, uncrowded setting. Park permits are available at the park office. 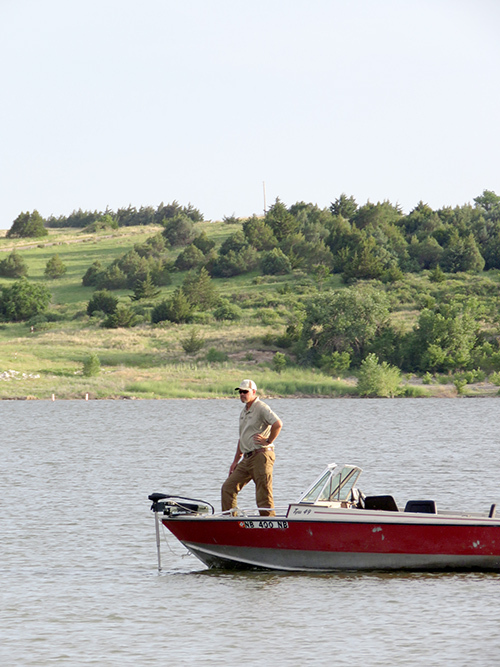 Enders Reservoir offers good fishing for white bass, crappie, catfish, northern pike, wipers and walleye. A fish cleaning station is available.